SYDNEY - Australia said June 29 that it would undertake its biggest disposal of military equipment since World War II to fund a major upgrade, with combat aircraft, helicopters and ships all up for grabs. Over the next 15 years, the Australian Defence Force will replace or upgrade up to 85 percent of its equipment, said Minister for Defence Materiel Jason Clare. This means the force will dispose of up to 24 ships, 70 combat aircraft, 110 other aircraft, 120 helicopters and 600 armored vehicles in the next decade. The government wants to use the revenue generated to fund new purchases. Clare said Britain has generated 650 million pounds ($1 billion) since 1997 by disposing of its unwanted military assets, but Australia has spent about $20 million Australian dollars ($21.2 million) offloading similar equipment in that time. "That's why I am reforming Australia's system of military disposals - to reduce costs, generate potential revenue and provide opportunities for defense industry involvement," he said. As it plans to spend billions on new submarines, naval helicopters and F-35 stealth fighter jets over the next 20 years, Australia also is positioning for bulk sell-offs, with the first offer of up to 24 ships over the next decade. Companies can bid for all ships, a class of ships or a single ship, Clare said. "By disposing of this equipment in bulk, it will increase the amount of revenue Defence can raise and reinvest in new equipment," Clare said in a statement. "It also provides the scale which gives real opportunities for business," he added. Clare said the government would attempt to help preserve important historic pieces of military equipment. A technology for mine sweeping using acoustic waves, called the Infrasonic Advanced Acoustic Generator (IAAG), has gone on trial with DSTO as part of the Capability and Technology Demonstrator (CTD) program. The threat in question is that of sea mines designed to detonate upon detection of acoustic signals emitted by vessels. Not only can these mines target vessels in this way, they can also differentiate between targets since larger ships emit lower frequency signatures. Thales Australia has developed minesweeping technology that neutralises the mine problem by creating an acoustic signal that emulates the emitted acoustic signature of vessels and thus triggers mine detonation. The Advanced Acoustic Generator (AAG) is one such device, now in service with the US Navy, RAN and two other navies. The AAG is able to emulate the acoustic signature of warships up to destroyer size and merchant ships below 50,000 tonnes. Four sea trials were conducted between June and September last year at HMAS Creswell, Jervis Bay, by Thales team and DSTO. 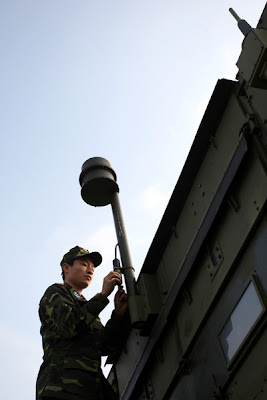 The aim was to demonstrate the IAAG’s acoustic output and its effectiveness in deployment in different configurations. “The Thales team successfully delivered all the CTD outcomes, and professionally managed the CTD within the timeline,” said Anthony Quach DSTO Technical Lead for the CTD project. “Overall, a very good outcome was delivered for Navy, with this cutting edge mine countermeasures technology being shown to enhance the Australian Minesweeping System capability and thus meet Navy’s operational requirements.”—Defence Science Australia. Malaysia's Aerotree Defence & Services has signed a letter of intent with Eurocopter for three EC135 helicopters for use in military training and utility roles. The deal, which covers deliveries from early 2012, was signed at the Paris air show by Aerotree Group executive chairman Norida Hamzah. "With the purchase agreement for this new EC135 fleet - which was handled through Eurocopter Malaysia - Aerotree will be positioned to diversify its activities, as well as developing services in the larger markets within the commercial and enterprise sector," said Eurocopter. 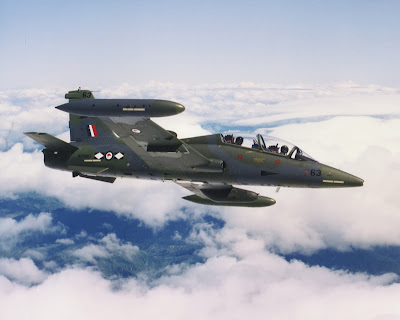 Aerotree's major customer is the Royal Malaysian Air Force, for which it provides target towing and electronic warfare services, plus air combat manoeuvring instrumentation equipment. MANILA, Philippines - About P14 billion of the P40 billion allotted by Malacañang to upgrade military capability will go to the Philippine Air Force, PAF chief Lt. Gen. Oscar Rabena said over the weekend. Under its modernization plan, the PAF will acquire a long-range aircraft to patrol the country’s territorial waters. 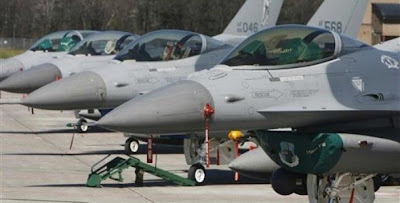 Rabena said the P14 billion would be used to acquire radar and aircraft that would enhance the PAF’s patrol capability. “Those in the lineup are air defense surveillance radars, surface attack aircraft – we call it close air support aircraft – combat utility helicopters... the total is P14 billion... over a period of five years,” he said. These acquisitions would help the PAF conduct patrols and search and rescue operations and improve its ability to perform its mandate, Rabena said. “(The acquisitions) will give us greater domain awareness, in what is happening in our territorial waters and in our territorial air space,” he said. Last week, Budget Secretary Florencio Abad said the government is ready to implement a P40-billion military modernization project over the next five years starting 2012 to secure the country’s territory in the West Philippine Sea. The government would allot P8 billion for the next five years for the Armed Forces modernization program to protect the country’s territory, he added. The P8-billion annual funding for 2012 to 2016 is higher than the current modernization budget being allotted to the Armed Forces, which stands at P5 billion. The Navy may get a huge slice of the funding, given the high costs of their equipment, said Navy chief Vice Admiral Alexander Pama. The military is now finalizing the list of items it plans to purchase. Meanwhile, House of Representatives appropriations committee chairman Joseph Abaya said the Armed Forces must be modernized since the military plays a key role in economic development. Abaya is confident that the government would give attention to the military’s modernization efforts since it has taken a stance to assert its claims in the West Philippine Sea. Speaking at the Air Power Symposium in Pasay City Friday, Abaya, a retired Navy officer, said Congress should address the gaps of the AFP modernization program, especially those related to fund allocation. “Considering the policy implementation shortfalls, Congress would have to amend the existing law or craft a new one to effectively implement the Modernization Act,” he said. Only P31 billion had been spent for the program after more than 16 years, he added. The AFP Modernization Act, which took effect in 1995, has given the military the opportunity to modernize in 15 years with a total fund of P331 billion. More than 16 years have passed since the law was enacted. Executive Secretary Paquito Ochoa Jr. said the administration is committed to reform the Armed Forces to help it carry out its mission. “We all want the best for our country and want to help our people weather whatever storms that come their way,” he said. “Today we have a commander-in-chief who is committed to providing you the support you need to allow you to perform your duties to the best of your abilities,” he added. Ochoa issued the statement at the conclusion of the Air Power Symposium at the Mall of Asia last Friday. “The reforms are part of the 16-point agenda President Aquino envisions to re-energize and transform a demoralized but dedicated military, police and civil servants to professional and motivated bureaucracies equipped with means to perform their public service missions,” he said. Ochoa said the PAF is the most dependent on equipment among the Armed Forces services. “It goes without saying that our pilots are some of the best in the world, whether they fly for the country or for a commercial airline,” he said. “But no matter how great our pilots are, their capabilities can only be exploited if they have the equipment that can do them justice,” he said. Ochoa said Aquino is aware of the need to upgrade the equipment and capabilities of the Armed Forces, noting that one of the priority bills Malacañang is pushing is seeking to extend the life of the military modernization program until 2025. “This is to enable the military to develop and put in place capabilities that can address threats to national security,” he said. “Part of this proposed measure authorizes the Department of National Defense and the AFP to forge contracts of sale, lease and joint venture involving real properties owned by the Armed Forces or pursue public-private partnerships in order to raise funds for the modernization program,” he said. As chairman of the Cabinet cluster on security, justice and peace, Ochoa said he is committed to realizing and implementing the programs and reforms laid down by the President. He cited military reforms that have been instituted by the administration, among them the comprehensive review of the financial management systems within the AFP to ensure the full implementation of the defense program and that funds earmarked for this purpose are spent judiciously. 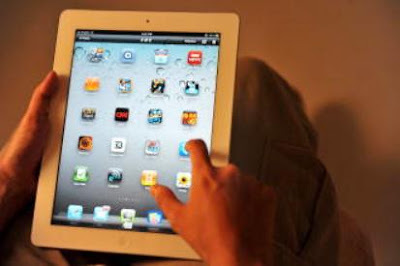 FROM November, recruits doing Basic Military Training (BMT) will be armed with one more 'weapon' - a handheld touchscreen device such as an iPad - to sharpen their fighting skills. Responding to queries from The Straits Times, the Defence Ministry said the Singapore Armed Forces (SAF) plans to issue about 8,000 sets, including to every recruit in the BMT Centre and those in other institutes such as the Officer Cadet School and the Specialist Cadet School, as well as to servicemen in the air force and naval training schools. Kesenjataan Artileri Medan sejaktahun 1982 telah menggunakan meriam jenis meriam 105 mm M 101 A1 buatan Amerika Serikat. Alutsista ini telah memperkuat persenjataan TNI AD serta meningkatkan Profesionalisme Prajurit Armed dalam mempertahankan keutuhan wilayah NKRI. Dalam kurun waktu 24 tahun sesuai dengan kemajuan teknologi dan kebutuhan dalam pembentukan satuan baru sesuai Renstra 2009 s/d 2014, maka pimpinan TNI menyetujui untuk pembentukan satuan meriam 105 mm dan rematerialisasi satuan meriam 76 mm. 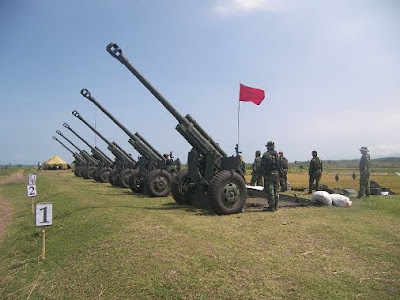 Setelah melalui beberapa proses pemilihan dan peninjauan maka pimpinan TNI memilih meriam 105 mm KH 178 buatan Korsel sebagai Alusista yang akan memperkuat TNI AD. Sejumlah 3 Batalyon meriam KH 178 pada tahun 2010 dan 2011 akan dialokasikan untuk Rematerialisasi. The Air Force’s retired Aermacchi jet trainers are up for tender, Defence Minister Wayne Mapp announced today. 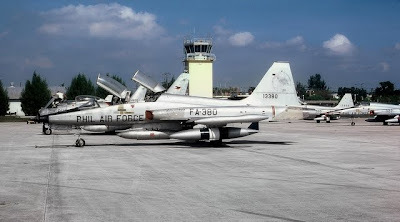 The aircraft were withdrawn from service when the Air Combat Force was disestablished in 2001. They will be sold on an “as is, where is” basis, the Minister said. “We have carefully considered the future of the 16 aircraft. Their age and condition means that they are no longer suitable for military training. Storing them costs money, so a sale by tender is the best option,” he said. The package for sale includes 13 complete airframes, six spare engines, and support equipment including specialist maintenance tools and training publications. “The Aermacchi package could be sold as a whole, as some countries still fly the aircraft. Alternatively, the package could be divided and individual aircraft and parts could be sold separately,” Dr Mapp said. The remaining three aircraft will go on display at New Zealand aviation museums. Alenia Aermacchi – a company of Finmeccanica’s Aeronautics Sector led by Alenia Aeronautica – has finalised with ST Aerospace the logistics support contracts for the 12 M-346 trainers sold at the end of September 2010 in the context of the Fighter Wings Course programme of the Republic of Singapore Air Force. The two contracts are expected to generate total sales in the range of EUR 170 million. 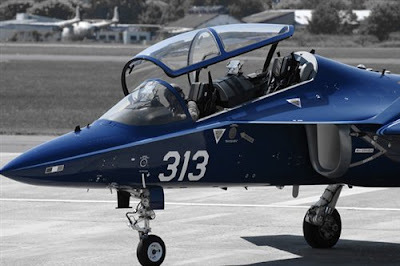 The first contract (Supply Chain Management) envisages the joint management of the M-346 suppliers by Alenia Aermacchi and ST Aerospace (after-sales support, including spare parts provisioning, repair and overhaul services) with sharing of risks, sales and profits between the two Companies. The other contract (Operations & Support) concerns instead the supply by Alenia Aermacchi of engineering support, programme/contract management and field support services. The Philippine Navy is investigating the possible procurement of one or more helicopter-capable offshore patrol vessels (OPVs) built in-country to a foreign design. A request for information was issued to potential vendors by US Naval Sea Systems Command (NAVSEA) in May, with a view to progressing the project as a Foreign Military Sales case. A key requirement, according to the NAVSEA solicitation, is that the OPV "must be new construction but derived from a proven hull design". The specification includes a deep-V monohull built in steel to American Bureau of Shipbuilding classification standards with an overall length of 80-88 m, beam of 10.5-11.55 m and full load displacement of 1,000-1,100 tons. The ship's complement will be 75 persons (including a flag officer). With an anticipated service life of 30 years, the OPV is expected to operate in conditions up to Sea State 6 and survive in Sea State 7. Two main diesel engines with fixed-pitch propellers will permit a minimum cruising speed of 14 kt and a maximum continuous speed at full load displacement of not less than 20 kt. Minimum range is 3,500 n miles at cruising speed. A 300 kVA bow thruster is also specified. Armament will include a 76 mm Oto Melara Super Rapid gun, a stabilised 25 mm gun and two 0.5-inch machine guns. 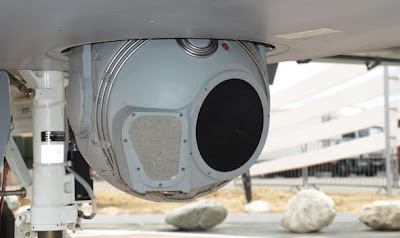 The fire-control system will include radar and electro-optical components, with targeting data obtained from a 3-D surface/air search radar with IFF capability. 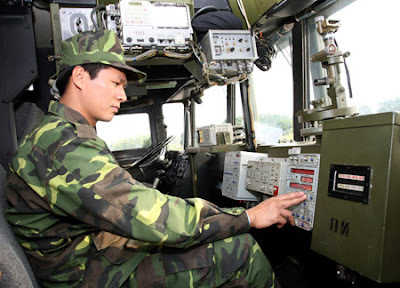 A passive electronic support measures system will detect radar, laser, infrared warning devices and communications signals. 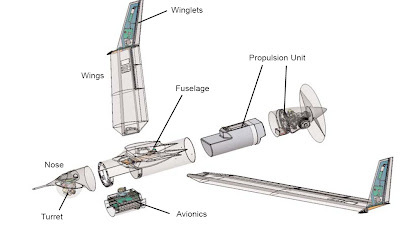 Margins of space and weight are required for the possible addition of surface-to-air missile, surface-to-surface missile, active electronic warfare and towed array sonar systems, suggesting that the navy wants to 'future-proof' the OPV for possible upgrade to multirole surface combatant. The communications and navigation suite will include two 255 kW navigation radars (one X-band and one S-band), a satellite communications phone system, a navigational telex and an electronic chart display and information system. The flight deck will be able to support a 7-ton helicopter for operations during day and night. A hangar does not appear to be a requirement, although a control room and facilities for refuelling and basic maintenance are expected. A stern ramp for two 11-m rigid-hull inflatable boats is also specified, along with a 2-ton deck crane. The Philippine Navy envisages using the OPV(s) for fleet-marine operations, naval gunfire support tasks, other support for joint operations with the Philippines' army and air force, and humanitarian assistance and disaster relief operations. 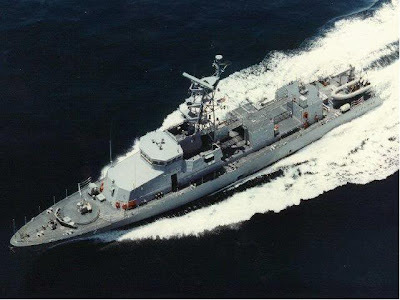 The navy is already acquiring several Hamilton-class high enurance cutters from the US Coast Guard; the first of these was formally handed over on 13 May as BRP Gregorio Del Pilar (15). 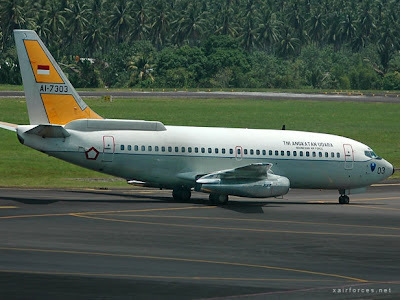 Makassar, Pelita Dengan telah selesainya pemeliharaan D Check pesawat Boeing-737 Skadron Udara-5 (AI-7302) di Airod Sdn Bhd Malaysia maka diberangkatkanlah satu Tim Crew Flight Test dari Skadron Udara-5 yang dipimpin langsung oleh Komandan Skadron Udara-5 Lanud Sultan Hasanuddin, Makassar Letkol Pnb Arifaini Nur Dwiyanto. Siaran pers Penerangan Koopsau II, Rabu (22/6) menjelaskan, setelah dilakukan ground check, Crew Flight Test melakukan pengujian sesuai dengan standard operating prosedur yang ada. Kendala dan permasalahan yang muncul pada saat pelaksanaan tes ternyata membutuhkan waktu untuk ditindaklanjuti sehingga membuat pelaksanaannya membutuhkan jangka waktu yang relatif lama. Tanggal 4 Mei 2011 kru melaksanakan pengujian penerbangan pesawat AI-7302 yang keempat kalinya setelah remarks pada penerbangan sebelumnya diselesaikan oleh pihak Airod Malaysia. Penerbangan ini dilaksanakan di area WMR 302 A/B wilayah udara Subang Malaysia. Ketika pesawat menanjak pada ketinggian mencapai 22.000 feet dari target 35.000 feet yang direncanakan, Crew Flight Test mengamati adanya dua kondisi emergency yang terjadi yaitu kebocoran pada left and right forward doors dan juga indikasi oil quantity engine nomor 2 menurun drastis yangdiikuti fluktuasi dari engine oil pressure. Test Pilot Letkol Pnb Arifaini, memutuskan untuk menghentikan climbing pesawat dan meminta izin menara pengawas Kuala Lumpur untuk descend dan kembali mendarat di Bandara Subang Malaysia. Pada saat pesawat turun melewati ketinggian 18.000 feet, oil quantity dari engine nomer 2 totally zero dan oil pressure terus menurun mendekati 40 psi. Sesuai dengan emergency prosedur pesawat Boeing 737-200, test pilot memutuskan untuk melakukan shut down engine nomer 2 (kanan) dan segera minta prioritas untuk mendarat. Pesawat berhasil didaratkan dengan selamat di landasan pacu dengan menggunakan single engine landing prosedur tanpa adanya korbanjiwa dan major material pesawat. Dari hasil pemeriksaan yang dilakukan oleh pihak Airod dan NTP Bandung sebagai pihak yang melaksanakan overhaul engine tersebut, disimpulkan bahwa faktor usia material (aging) telah mengakibatkan terjadinya crack pada oil diff pressure sehingga mengakibatkan kebocoran oli yang sangat cepat. Berdasarkan kronologis penerbangan dan laporan dari berbagai sumber maka Pangkoopsau II Marsda TNI Agus Munandar, memberikan sertifikat apresiasi berupa Well Done Award karena dapat mendaratkan pesawat pada saat terjadi emergency single engine dengan aman dan selamat. Malaysia has followed up its initial interest in Navantia's 99 m offshore patrol vessel (OPV) design with an official visit to the company's Puerto Real shipyard near Cadiz. 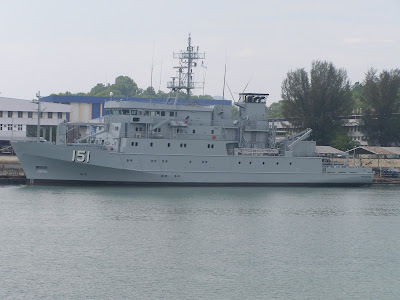 A delegation led by the Secretary General of the Malaysian Ministry of Defence (MoD), Ismail bin Haji Ahmad, was shown the second of four Guaiqueri-class POVZEE (Patrullero Oceánico para la Vigilancia de la Zona Económica Exclusiva) ships on order for the Venezuelan Navy. Malaysia is seeking to acquire up to six ships with combatant capabilities under its Second-Generation Patrol Vessel (SGPV) programme. Local shipbuilder Boustead Naval Shipyard, which received a letter of intent from the MoD towards the end of 2010, is looking for an international design and technology partner. 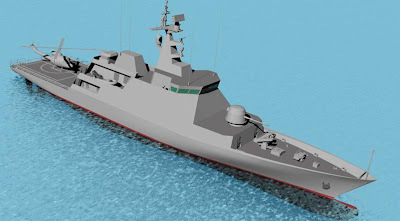 Navantia has offered a design based on the POVZEE; rival contenders include BAE Systems (with a larger version of its 90-m OPV), Damen Schelde (proposing its SIGMA design), DCNS (Gowind family) and ThyssenKrupp Marine Systems (K130 corvette variant). The state-owned Spanish shipbuilder told Jane's on 20 June that it expects to hear the MoD's decision soon. Three other nations - Australia, Qatar and South Africa - have also sent representatives to Spain to view the POVZEE build programme. 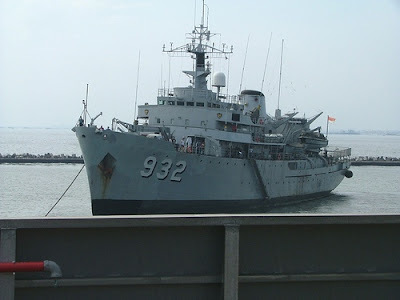 The Guaiqueri-class OPV seen by the Malaysian delegation, Warao (PC 22), was launched in October 2009 and is undergoing sea trials off Cadiz prior to transfer to Venezuela. The last of the four vessels - previously known as the Caribe class - is scheduled for commissioning in 2012. The Philippine Air Force will soon set up its regional tactical operation group headquarters at the Bacolod-Silay Airport in Negros Occidental. The PAF in the Western Visayas presently has its Tactical Operation Group-6 headquarters in Iloilo. The establishment of the Air Force TOG-6 headquarters at the Bacolod-Silay Airport was endorsed by Governor Alfredo Marañon Jr., who requested for approval and authority from the Sangguniang Panlalawigan to sign the memorandum of agreement by and between the province of Negros Occidental and the PAF. The TOG-6 headquarters will house PAF air assets, such as helicopter gunship, war and cargo air transport planes. The Air Force headquarters in Region 6 was proposed to be transferred from Iloilo to Negros Occidental during the stint of retired General Victor Ibrado, then commander of the AFP Central Command. The proposed MOA stipulated that the provincial government will acquire four hectares of land within or near the vicinity of the Bacolod-Silay Airport in Brgy. Bagtic, Silay City, while the PAF will undertake the development of the area, construction and maintenance of structures, and facilities. The MOA also states that the PAF will give Negros Occidental priority in extending assistance, or preference to the needs of the province in times of emergency, calamity and similar circumstances, when its services may be needed. TEMPO Interaktif, Jakarta - Panglima TNI Laksamana Agus Suhartono menepis kekhawatiran banyak pihak akan kendala kesulitan suku cadang terkait kebijakan menerima hibah 24 pesawat F16 bekas dari Amerika Serikat. "Sekarang kita sudah punya F-16 semua berjalan dengan baik dan lancar. Suku cadang juga didukung karena kita punya kerjasama," katanya seusai menjadi Inspektur Upacara Apel Kebangsaan Gerakan Muda (GM) Forum Komunikasi Putra-Putri Purnawirawan dan Putra-Putri TNI Polri (FKPPI) di Lapangan Markas Kodam V Brawijaya, Surabaya, Jumat 24 Juni 2011. Menurut Panglima, hibah 24 pesawat tempur jenis F-16 dari Amerika akan melengkapi alat utama sistim senjata milik TNI Angkatan Udara. Hibah itu saat ini tengah diproses. 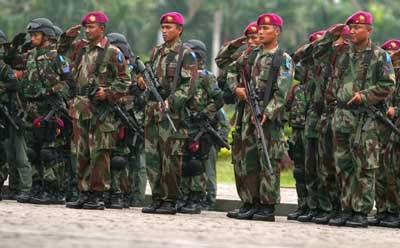 Secara prinsip TNI telah memilih program hibah tersebut dan telah diajukan ke pemerintah. Saat ini pihak Amerika juga sedang mengkaji. "Saya harapkan itu berjalan sesuai rencana," kata Panglima Agus. Menurut Panglima TNI, sesuai rencana, Amerika akan menghibahkan sebanyak 24 unit F-16. Hibah diberikan secara bertahap dalam empat tahun. "24 unit sesuai rencana, per tahunnya sesuai kemampuan retrofit atau pemeliharaan peningkatan kemampuan. Kalau tidak salah setiap tahunnya delapan unit," ujar Panglima TNI. F-16 hasil hibah ini nantinya akan dibuatkan beberapa skuadron udara tersendiri untuk melengkapi dua skuadron F-16 yang saat ini telah dimiliki TNI AL di Lapangan Udara Iswahjudi, Madiun. Untuk proses hibah sendiri, ke-24 F-16 yang akan dihibahkan saat ini masih dalam proses upgrading sebelum benar-benar diserahkan ke Indonesia. Tak hanya itu, menyusul penyerahan hibah ini, F-16 yang kini telah dimiliki TNI AL, rencananya juga akan menyusul dilakukan proses upgrading untuk menyesuaikan teknologi terkini dari kemampuan tempur pesawat tersebut. BINGEN, Wash., June 22, 2011- Insitu Pacific, the Australia-based subsidiary of Insitu Inc., today announced it has achieved 25,000 operational flight hours of ScanEagle Unmanned Aircraft System (UAS) services with the Australian Army in Afghanistan. The Australian Defence Force (ADF) has used ScanEagle heavily since June 2007. Completing up to 880 flight hours and 150 flights per month, Insitu Pacific personnel work alongside Australian Army personnel in theater to provide 24/7 specialist support with an industry-leading 99 percent mission-readiness rate. “Insitu Pacific is committed to supporting ADF operations to the highest standard. The past four years and 25,000 flight hours in Afghanistan have clearly demonstrated that commitment,” said Insitu Pacific Managing Director Andrew Duggan. This high standard was recognised at the Australian Defence Magazine (ADM) Congress earlier this year, when Insitu Pacific received the “Team of the Year Award” for ADM's 2010 best “Defence Materiel Organisation (DMO) / Small to Medium Enterprise Team.” Insitu Pacific won the award in concert with the Army Aviation Systems Program Office Unmanned Air Vehicle Management Unit for their collaborative efforts delivering ScanEagle UAS services to the Australian Army in Australia and Afghanistan. The ScanEagle UAS provides tactical aerial reconnaissance support to land forces in Afghanistan, protecting approximately 1,500 ADF personnel. 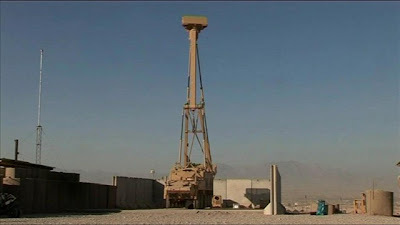 Insitu Pacific's contribution in Afghanistan is part of ADF Operation Slipper, which is part of the International Security Assistance Force (ISAF) working under a United Nations Security Council (UNSC) mandate. Insitu Pacific, located in Queensland, Australia, has provided UAS services to defence, civil and commercial interests in the Asia-Pacific region since June 2009. It is a subsidiary of U.S.-based Insitu Inc.
Insitu Inc., located in Bingen, Wash., is a wholly owned subsidiary of The Boeing Company. Insitu designs, develops and manufactures UAS and provides associated services for commercial and military applications. With a small footprint and expeditionary focus for both land and sea operations, the company's family of UAS solutions serves the needs of the global defense community. To date, these systems have accumulated 485,000 combat flight hours and 60,000 sorties. Eurocopter signed today with the Malaysian Ministry of Defence a cooperation contract related to the supply of 12 EC725 helicopters, to be operated by the Royal Malaysian Air Force in search and rescue (SAR) and utility missions. In the presence of H.E. Dato’ Seri Kong Cho Ha Minister of Transport Malaysia, Dato´ Sri Dr. Haji Ismail Bin Haji Ahmad Secretary General, Ministry Of Defence Malaysia, General Tan Sri Rodzali bin Daud Chief of Royal Malaysian Air Force and Dato´ Nadzri Bin Siron Undersecretary, Procurement Division, Ministry Of Defence Malaysia, Eurocopter was truly honoured to sign this contract with the Malaysian Government. This contract includes 13 comprehensive cooperation projects to be developed with the objective of strengthening Malaysian strategic aeronautical skills and capabilities together with specific attention in education through the development of aeronautical training capabilities in association with Malaysian Universities. -Transfer of technology and know-how through programs to Malaysian Industry, Governmental Entity and Armed Forces; Development of an Aeronautical Training Centre. All the beneficiaries are part of the Malaysian Defence Industry or Governmental entities, and include Boustead, CTRM, CTRM System Integration, Helipartner, Ikramatic, LTAT, National University of Defence of Malaysia, Qdos, SMEA, UniKL Malaysia Institute of Aeronautic and Technology, and Zetro, for which a Letter of Acceptance for the respective projects to DID were handed over during the ceremony. “This contract opens a new chapter in Eurocopter’s relationship with Malaysia and will bring high-value technology and know-how to the country in line with the Malaysian Government Vision 2020,” said Dominique Maudet, Eurocopter Executive Vice President Global Business & Services. This supplementary contract is linked to Eurocopter’s supply of the 12 SAR-configured EC725s, along with associated training, spares and tools. 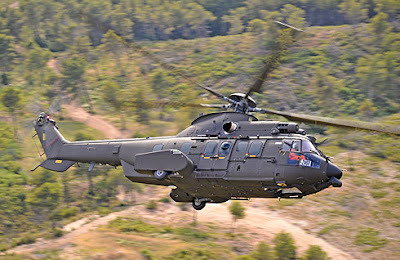 The new EC725s will complement, and eventually replace, the Royal Malaysian Air Force’s current fleet of aging Sikorsky S-61 helicopters, which is known as NURI. The EC725s will allow the Royal Malaysian Air Force to perform its SAR and utility missions day and night, and in all weather conditions. Le Bourget, - RIA Novosti. 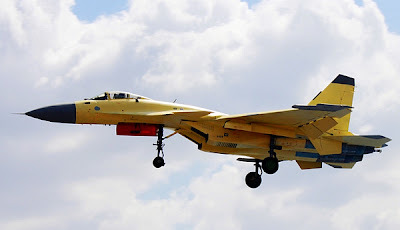 Russia has launched a contract to supply of Su-30MK2 Vietnam, the first four aircraft sent to this country, told reporters Wednesday at the Air Show in Le Bourget, head of the delegation of Rosoboronexport Sergey Kornev. 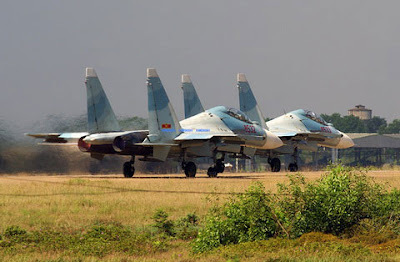 Russia signed a contact with Vietnam to supply eight fighters. In addition an agreement was signed for the supply of another 12 fighters in this country. The term of the contract - 2011-2012. "The first four aircraft of the Su-30MK2 sent to this country," - said Kornev. 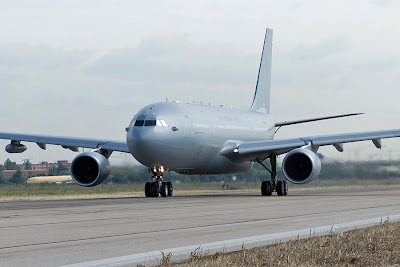 The second Airbus Military A330 MRTT new generation tanker/transport has been formally delivered to the Australian Defence Materiel Organisation at the Royal Australian Air Force (RAAF) base RAAF Amberley, Queensland, Australia. The aircraft, designated the KC-30A in RAAF service, was ferried from Madrid following its conversion by Qantas Defence Services (QDS) and Airbus Military and arrived on Saturday 18th June. 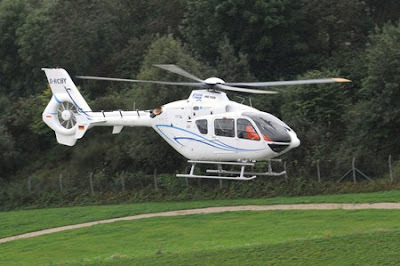 Formal handover of the aircraft took place on 22nd June and follows the delivery of the first aircraft on 1st June. The third aircraft is under conversion in Brisbane by QDS and will be delivered later this year. The fourth aircraft to be delivered is under refurbishment in Madrid, following completion of developmental, certification and qualification testing and will be delivered to the DMO by the end of the year. The fifth and final aircraft for the RAAF, also converted by QDS, will be delivered in 2012 and the fleet will serve with 33 Squadron RAAF. In RAAF service, the A330 MRTT will be equipped with two underwing refuelling pods, the fly-by-wire Airbus Military Aerial Refuelling Boom System (ARBS), and a Universal Aerial Refuelling Receptacle Slipway Installation (UARRSI) enabling it to be refuelled from another tanker. It is powered by two General Electric CF6-80E engines, has an optimized cabin layout of 270 seats, crew rest compartment and integral airstairs, and underfloor cargo hold for both military pallets and civil cargo containers. Jakarta (ANTARA News) - TNI Angkatan Laut akan membeli dua kapal survei dan pemetaan atas dan bawah permukaan laut baik untuk kepentingan pertahanan dan militer maupun umum. "Proses pengadaannya, kami sudah membuka lelang terbuka untuk pengadaan dua kapal itu," kata Wakil Kepala Staf TNI Angkatan Laut Laksamana Madya TNI Marsetio di Jakarta, Rabu. Ditemui usai membuka seminar nasional hidro-oseanografi, ia mengatakan, sudah ada beberapa negara yang menawarkan diri untuk membuat dua kapal tersebut. "Sudah ada beberapa perusahaan dan negara yang menawarkan diri, namun belum kita putuskan yang jelas semua melalui proses lelang," katanya kepada ANTARA. Tentang negara mana saja yang sudah tertarik untuk pengadaan dua kapal itu, Marsetio mengaku belum mendapatkan data rinci. "Yang jelas sudah ada. Penambahan kapal survei dan pemetaan atas dan bawah permukaan laut itu sangat penting, untuk memaksimalkan kegiatan mendapatkan data hidrografi dan oseanografi ," ujarnya. Marsetio menjelaskan posisi geografis Indonesia yang berada di persimpangan dua benua dan dua samudra memiliki konsekuensi tinggi. Karena itu, lanjut Marsetio, perlu kegiatan survei dan pemetaan atas dan bawah permukaan laut yang memadai untuk mengetahui secara rinci kondisi, situasi dan apa yang terjadi di wilayah perairan nasional. Jakarta, Kompas - Anggaran sektor pertahanan tahun 2012 diusulkan naik sekitar 30 persen, dari Rp 47 triliun pada tahun 2011 menjadi Rp 61 triliun. Peremajaan alat utama sistem persenjataan menjadi salah satu fokus penggunaan anggaran pertahanan tahun 2012. ”Kami berharap pembelian senjata jangan parsial, tidak ada transfer teknologi, dan tanpa uji coba seperti terjadi selama ini,” kata anggota Komisi I DPR, Tubagus Hasanudin, yang dihubungi di Jakarta, Selasa (21/6). Padahal, sebanyak 49 persen usulan anggaran tersebut digunakan untuk belanja pegawai. Dia mencontohkan pembelian pesawat latih dari Korea Selatan. Hingga kini belum ada transfer teknologi yang dilakukan kepada PT Dirgantara Indonesia. Demikian pula pembelian pesawat serbu udara-permukaan Super Tucano dari Brasil, tidak ditegaskan klausul transfer teknologi ke pihak Indonesia. Rencana pengadaan dua kapal selam bertenaga diesel juga dianggap kurang tepat karena teknologi diesel mudah dideteksi sonar. Kepala Pusat Komunikasi Publik Kementerian Pertahanan Hartind Asrin mengatakan, proses anggaran masih berlangsung, tetapi pihaknya fokus pada belanja rutin dan pengadaan alat utama sistem persenjataan (alutsista). ”Kami juga melakukan ofset, yakni pembelian pesawat tempur udara permukaan dari Korea T-50. Sebaliknya mereka membeli pesawat CN-235 dari Indonesia,” ujar Hartind. Dia menyatakan, Kemhan fokus pada kesiapan tempur atau minimum essential force (MEF). Selain itu, ada pembangunan Pusat Misi Pemeliharaan Perdamaian di Sentul, Bogor, yang membutuhkan biaya besar. Namun, pembelian alutsista dalam jumlah kecil, seperti pengadaan dua atau empat pesawat tempur, dinilai tidak punya efek tangkal. ”Kenapa kita tak mengadakan secara utuh dalam satu tahun anggaran satu skuadron, semisal 18 Sukhoi senilai Rp 9 triliun. Tahun berikut bisa diadakan lima batalion tank. Praktis akan tersusun kekuatan utuh di darat, laut, dan udara,” ujar Hasanudin. Ia mengatakan, rencana anggaran itu menyinggung upaya perbaikan kesejahteraan prajurit yang kebanyakan masih merana. 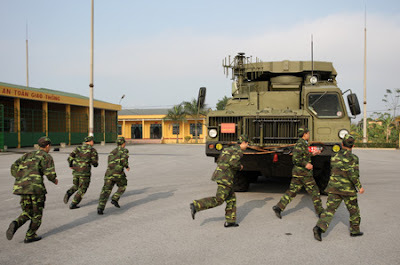 TENTERA Laut Diraja Malaysia (TLDM) bukan sekadar menjaga keselamatan dan kedaulatan perairan negara tetapi turut terlibat dengan tugas-tugas berkaitan hidrografi seperti mengukur kedalaman, bentuk dan morfologi laut, arah aliran ombak serta maklumat pasang surut air laut. Tugas-tugas tersebut dipertanggungjawabkan kepada agensi di bawah TLDM iaitu Pusat Hidrografi Nasional (PHN). Mungkin banyak pihak mempertikaikan keperluan tugas-tugas tersebut dilakukan tetapi hakikatnya ia penting dan amat diperlukan untuk tujuan pengukuran dan pelayaran. Ketua Pengarah PHN, Datuk Zaaim Hasan berkata, peranan PHN tidak kurang pentingnya berbanding tugas anggota TLDM yang lain. Malah katanya, tanggungjawab mereka lebih rumit kerana perlu teliti dengan setiap pengukuran yang dilakukan supaya tidak berlaku kesilapan yang boleh menyebabkan operasi pelayaran atau pemantauan di kawasan perairan negara terjejas. “Setiap pengukuran perlu tepat. Kedalaman, bentuk lautan, kelajuan ombak, jadual pasang surut air laut, kesemuanya itu perlu diukur dengan teliti sebelum diterjemahkan dalam bentuk peta atau carta yang diguna pakai TLDM semasa pelayaran. “Proses pengukuran meliputi keseluruhan kawasan perairan negara. Bayangkanlah keluasan laut yang perlu diukur dan kami tidak boleh melakukan kesilapan kerana khuatir boleh menyebabkan berlakunya kemalangan antara kapal yang melalui perairan negara. “Proses pengukuran juga dijalankan secara berterusan. Kami tidak boleh kekal dengan ukuran yang sama bagi tempoh empat atau lima tahun kerana bentuk atau struktur muka bumi di dasar lautan sering berubah terutamanya apabila berlaku bencana seperti tsunami,” katanya ketika ditemui semasa sesi lawatan media ke PHN di Pulau Indah, Pelabuhan Klang baru-baru ini. Menurut Zaaim, penubuhan dan peranan PHN juga adalah selaras dengan dasar kerajaan untuk membangunkan sebuah Pusat Maklumat Infrastruktur Geospartial Marin (GIDC) di negara ini. Beliau yakin hasrat untuk membangunkan pusat maklumat tersebut akan dapat direalisasikan dalam tempoh dua atau tiga tahun lagi. “Kami optimis dengan pembangunan GIDC. Ia akan menjadi pusat pengumpulan serta penyimpanan maklumat marin terbesar di negara ini dan akan memudahkan penyaluran sebarang informasi kepada TLDM sekiranya diperlukan," jelasnya. PHN juga katanya, ketika ini bercadang untuk menambah jumlah aset yang mereka miliki bagi memudah serta mempercepatkan tugasan mereka. Katanya, setakat ini agensi itu mempunyai dua buah bot pengumpul hidrografi iaitu Kapal Diraja (KD) Mutiara dan KD Perantau. “Tugas mengukur dan merekodkan struktur perairan negara mengambil masa yang agak lama. Berdasarkan jumlah aset yang dimiliki ketika ini, belum tentu kami mampu menyiapkan ukuran struktur perairan negara menjelang 2020. “Jadi kami bercadang untuk menambah jumlah aset yang dimiliki supaya tugas-tugas pengukuran dapat berjalan dengan lancar,” ujarnya. 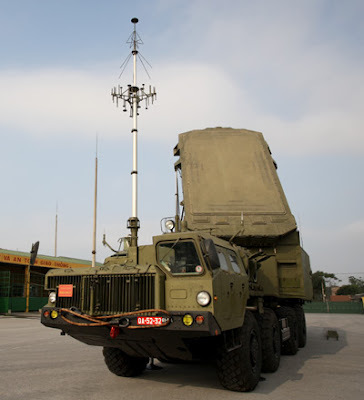 Air Defense - Air Force recently held for the union officials, journalists and news agencies, press relations and sightseeing air workout recombinant S-300PMU1 missile air defense mission of the 64 - 361 air defense divisions. 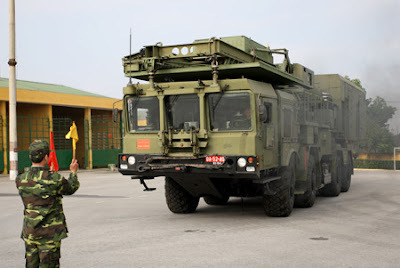 Sports teams have to stand between the sun to see the training unit, but the sun is not up to the top of the dump fire drills have been completed since the process started and controlled combination of S-300 PMU1 operation takes only a few minutes. 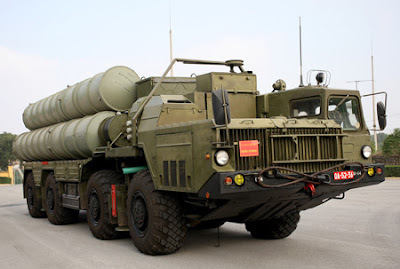 S-300PMU1 System is not missiles range produced by the Russian Federation, is considered the most sophisticated appearance on the world arms market today. 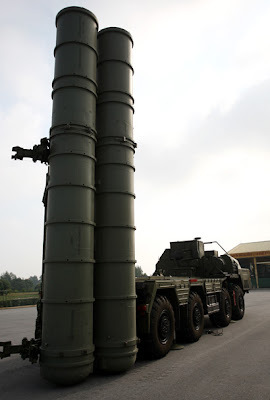 (The system owns Russian S-400, more modern S-300 but not exported. It is expected that the next time, Russia will complete the research and manufacture of air defense systems S-500, more modern , has a range of warfare in space). 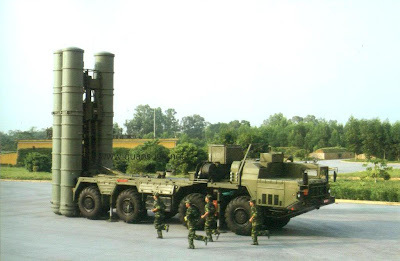 Compare features with the U.S. Patriot missile, the S-300 PMU1 remarkable, as the farthest distance to destroy, destroy the highest altitude, velocity target the largest extinction; weight of the warhead, protected area coverage of air defense weaponry S-300 PMU1 also larger. 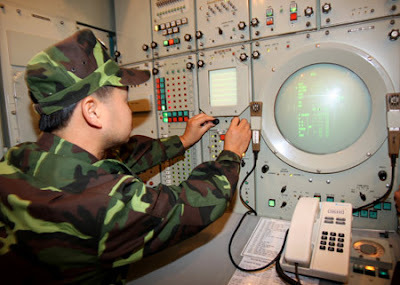 The complex missile defense system is not dynamic, multi-channel used to destroy all means of modern air raid of the enemy in the present and future, including strategic aircraft and tactics, the kind of strategic ballistic missiles, campaign-strategy at all elevations, velocities, under all conditions with intense noise and the technical tricks, different tactics. 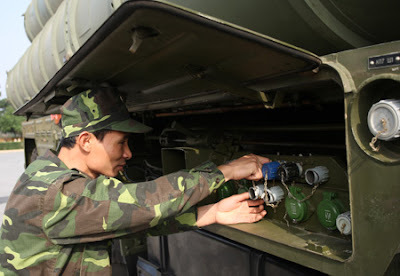 Lieutenant Colonel Le Van Thanh - Doan Doan 64 air defense - said receiving unit has several weapons this year. Equipped with a combination of non determination of the Party, State and people, are receiving and using the most modern weapons was an honor and responsibility of the unit. 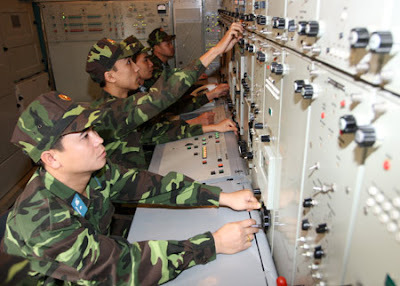 To master modern weaponry, the unit outside officials to study in your country of access to scientific and technological world while improving accountability, academic research, creative application of scientific and public technology, combat readiness, to cope with the situations occurring in the air, protecting the skies of Hanoi capital and the north. 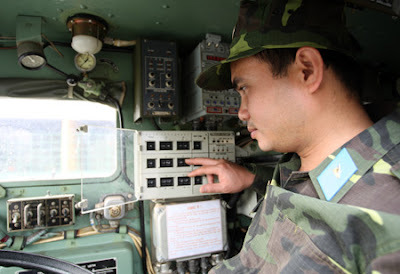 With these weapons, air defense forces to preserve the peace of mind the sky of the country. HONG KONG - China's first aircraft carrier - a remodeled Soviet-era vessel - will go on sea trials next week, a report said June 21, amid escalating tensions in the South China Sea. China's top military official reportedly confirmed earlier this month that Beijing is building a huge aircraft carrier, the first acknowledgement of the ship's existence from China's secretive defense program. The Hong Kong Commercial Daily, which broke the story of the vessel's confirmation, quoted unnamed military sources saying the carrier will go on sea trials on July 1 but will not be officially launched until October 2012. The sources said the test has been expedited in view of rising tensions in the South China Sea - home to two potentially oil-rich archipelagos, the Paracels and Spratlys - in recent weeks. China's military "hopes it will show the strength of the Chinese maritime forces to deter other nations, which are eyeing the South China Sea, in order to calm tensions," the sources said. They added that the sea trial date was also picked to celebrate the 90th anniversary of the Chinese Communist Party but noted that factors such as weather could affect the planned test run. China's military did not immediately respond to an AFP request for comment. Tensions between Beijing and other rival claimants to the strategically vital South China Sea have heightened recently. China has claimed mineral rights around the disputed Spratly Islands in the South China Sea and argued that foreign navies cannot sail through the area without Beijing's permission. In September, Japan and China also clashed over the disputed Senkaku Islands, known as the Diaoyu Islands in China, located in the East China Sea. But Chinese officials have previously said that its first aircraft carrier would not pose a threat to other nations, in accordance with Beijing's defensive military strategy. The Chinese aircraft carrier plan was confirmed when the chief of the General Staff of the People's Liberation Army, Chen Bingde, confirmed the ship's existence in an interview with the Hong Kong paper. He said the 990-foot former Soviet carrier, originally called the Varyag, was being overhauled. The ship is currently based in the northeast port of Dalian. An expert on China's military has reportedly said the carrier would be used for training and as a model for a future indigenously-built ship. 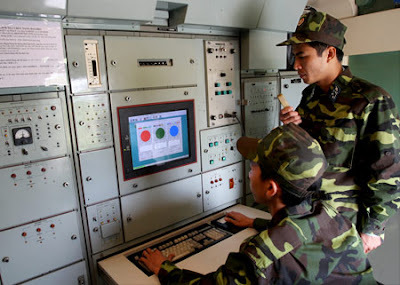 The PLA - the largest army in the world - is hugely secretive about its defense programs, which benefit from a large military budget boosted by the nation's runaway economic growth. The acquisition of submarines and frigates by the RSN were the key programmes that define the current shape of the service. Submarines became a major interest for the RSN in. the 1980s, driven in part by the Indonesian Navy (TNI-AL) commissioning two Type 209-1300 submarines in 1981. While the RSN could see the possibilities that a submarine could offer, it was in no position to consider such a capability, as it was still far too early in the evolution of the RSN, there was not the money to support such a programme and there were not the personnel resources for such a programme. In the 1990s that situation changed and the RSN was able to move forward on its plan to add a submarine capability by acquisitions from the Royal Swedish Navy (RSwN). The former RSwN submarine HMS Sjoormen was purchased in 1995 to provide a training asset to for the RSN to develop an operational submarine capability. Sjoormen was subsequently refurbished and refitted by Kockums in Karlskrona, Sweden for the operational and environmental conditions it would meet in Singapore waters. The submarine was then commissioned into the RSN as RSS Challenger in 1997. With more surplus RSwN submarines available, the RSN was able to consider expanding the scope of the submarine force development plan, leading to the acquisition the four remaining units of the Sjoormen class in Sweden, that would become the Challenger class in Singapore. 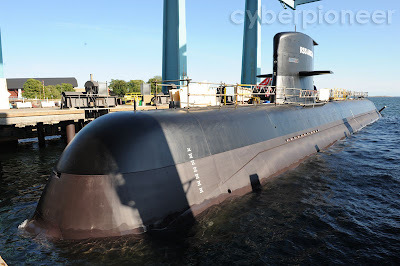 Of the four submarines purchased, three were refurbished and refitted by Kockums, with RSS Conqueror and RSS Centurion being commissioned into the RSN in 1999, and RSS Chieftain being commissioned in 2001. The fourth submarine, the former. HMS Sjohasten, became a source of spares to support the four operational Challenger class submarines in service. Therefore between 1997 and 2001, the RSN had commissioned a submarine force, 171 Squadron, of four submarines. Even so, it was obvious that the Challenger class was not the long-term solution for RSN submarine requirements, all of these units had originally been commissioned into the RSwN in 1968/69. 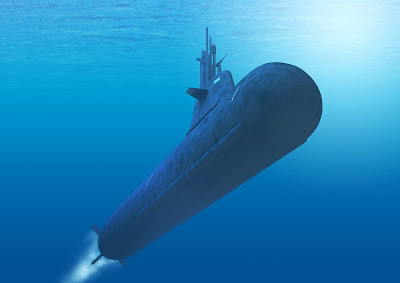 What the Challenger class would do is provide the RSN with invaluable experience of submarine operations and support. This would allow the RSN to carefully plan its move to select and bring into service a long-term solution to its submarine needs. The RSN perception of possibilities regarding their submarine fleet was changed by events in Sweden. In 2004 the Swedish. government enclosed draconian cuts of 2.5% on the RSwN, one of the casualties of these cuts were the two remaining un-upgraded A17 Vastergotland class submarines (HMS Vastergotland and HMS Halsingland) that were removed from service prior to disposal. HMS Vastergotland and HMS Halsingland had commissioned in the RSwN in 1987 and 1988, and were relatively modern submarines with plenty of operational life remaining. Furthermore they had a proven upgrade path evidenced by the fact that the other two ships of the class (later known as the Sodermanland class) had received the Stirling AIP system, new sensors and enhanced weapons. Thanks to its ongoing links with the RSwN, Singapore became aware of the availability of the two submarines and decided that here was an excellent means of upgrading RSN submarine capabilities. An acquisition programme for the two submarines known as Northern Lights was agreed between Singapore and Sweden in 2005. Under the terms of the programme Kockums would essentially modernise the two submarines to the standard of the Sodermanland class, in parallel RSN-specified equipment would be installed and the submarines would be modified for local climatic conditions. The RSwN would provide a training package for the submarines, and a full logistic support package would be included in the contract. RSS Archer (the former HMS Halsingland) was launched in June 2009 at Karlskrona, with RSS Swordsman (the former HMS Vastergotland) being launched at Karlskrona on 20th October 2010. Once RSS Archer and RSS Swordsman are fully operational in Singapore, the RSN will have greatly enhanced its submarine capability at a very affordable cost compared to embarking on new a construction programme. This of course leads to speculation on the future of the Challenger class with the RSN. Certainly the Challenger class, or at least some units, can be retained in service for both operational and training missions. But they cannot be sustained indefinitely and either the RSN opts to only have the two Archer class or its looks for two more submarines. With. Sweden going ahead with the A26 submarine programme there are possibilities for Singapore. Potentially they could become a part of the Swedish programme or they could wait for RSwN disposals from its current submarine fleet. MANILA, (PNA) – The Philippine Air Force (PAF) is already scouting for at least two Mig-29 Fulcrum Fighter Jets or F-18 Hornets while the Philippine Navy (PN) is window shopping for state-of-the-art frigates as part of the modernization program of the Armed Forces of the Philippines (AFP), an AFP official said Monday. 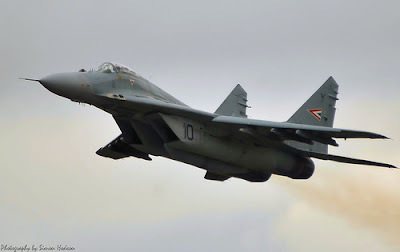 The Mikoyan MiG-29 (Fulcrum) is a fourth-generation jet fighter aircraft designed in the Soviet Union for an air superiority role. Developed in the 1970s by the Mikoyan design bureau, it entered service with the Soviet Air Force in 1983, and remains in use by the Russian Air Force as well as in many other nations. 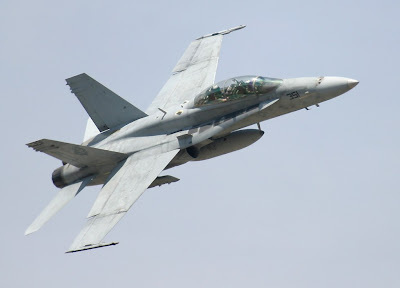 The McDonnell Douglas (now Boeing) F/A-18 Hornet is a supersonic, all-weather carrier-capable multirole fighter jet, designed to dogfight and attack ground targets (F/A for Fighter/Attack). AFP Modernization Program Management Office head Brig. Gen. Roy Deveraturda, said PAF and PN is getting the huge chunk with Malacanang increasing AFP's annual modernization budget from P5 billion to P8 billion which includes the intensive training of foot soldiers. Deveraturda said the acquisition is already up for the next five years priority list of the Aquino Administration. He added the procurement and bidding are also underway for the acquisition of weaponry and logistics. He also said the military upgrade should not be viewed as preparations for a possible conflict over the disputed Spratly Islands in the West Philippine Sea. “We just want to provide sovereign presence in our territories,” Deveraturda told reporters. AFP’s priorities were fighter jets, patrol helicopters with sensors, search-and-rescue helicopters, transport aircraft, and strategic sea-lift vessels, Deveraturda said. “We plan to acquire a brand-new Hamilton class cutter for our Coast Guard,” he said. The Spratlys is believed to sit on vast mineral resources and claimed in part or in whole by the Philippines, China, Brunei Darrusalam, Malaysia, Taiwan and Vietnam. The Philippine government has been vocal about its claims and protecting non-disputed areas within the EEZ based on the United Nations Convention on the Law of the Sea (UNCLOS). The AFP is looking at expanding a system that started as Coast Watch South, a monitoring system for Mindanao waters. 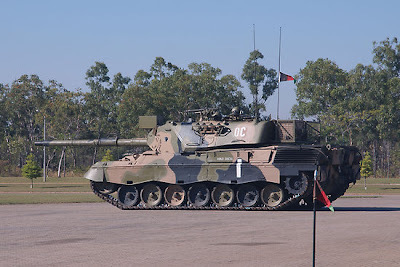 Australia’s Counter-Rocket, Artillery and Mortar radar, known as C-RAM, been rolled out to a number of patrol bases and Forward Operating Bases across Uruzgan Province in Afghanistan. The C-RAM system provides vital warning of impending rocket attacks and mortar attacks against bases, providing precious seconds for our people to take cover, rather than being exposed in the open. The system will roll-out to more forward operating bases over the remainder of this year. The provision of the C-RAM capability follows on from the Force Protection Review effected by former Minister for Defence Faulkner in 2009 and underlines the Government’s commitment to provide our troops with the best available equipment. Since it began operation in December last year the C-RAM system has provided ten warnings against rocket and mortar attacks resulting in no ADF casualties. 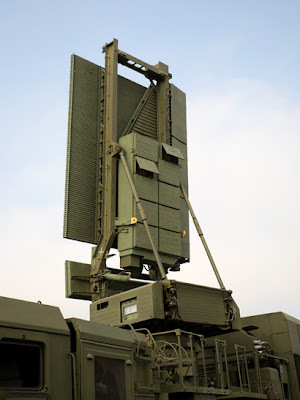 Most recently, the C-RAM system successfully detected and provided warning against indirect fire attacks on the Tarin Kot base early on 12 June and again on 14 June. 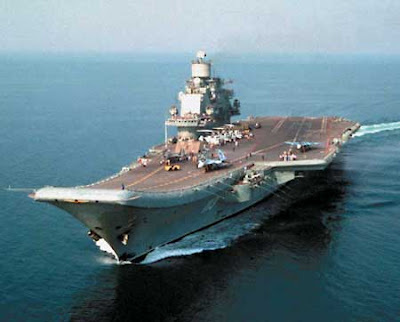 India and Russia ended their high-level defence cooperation meeting at Moscow late on Thursday with Russia assuring that the sea-based aircraft carrier, Admiral Gorshkov will start sea trials off the Russian coast by November this year. Delivery of the ship to India will be as per schedule in December 2012. The 45,000 tonne, 283-metre aircraft carrier will fly the naval version of the MiG 29 off its deck. The fighters are already in India and based at Goa. At present, the Indian Navy has one aircraft carrier, the INS Viraat and is building one of its own at Kochi that is to be named INS Vikrant. The development of an craft carrier is crucial as China is set to launch its first-ever such ship which is also a old Russian carrier being re-fitted. Sources said the Indian Defence Ministry team led by Defence Secretary Pradeep Kumar visited the ship yard at Sevmash in North-Western Russia to see the development. Gorshkov is being re-fitted as per the Indian requirements. Teams at the shipyard are working overtime and around the clock to meet the schedule. The cost escalation and delay in the ship had caused a strain on the 50-year-old Indo-Russian ties. It needed the intervention of Russian President Dmitry Medvedev who himself took care that all contracts are signed. 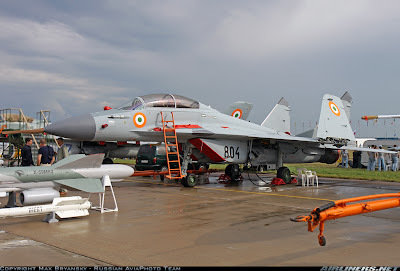 Meanwhile, a section of the Indian delegation was also shown a test flight of the fifth generation fighter aircraft (FGFA) that the two countries are co-developing. The development of design alone will cost close to $ 6 billion. MANILA, Philippines - The government will spend P40 billion over the next five years to upgrade the capability of the Armed Forces of the Philippines to protect maritime resources and the country’s territorial integrity, Budget Secretary Florencio Abad said Sunday. Abad said starting next year, the government will seek an P8-billion annual budget for the AFP modernization program. “We’ll be coming up with a list of priority acquisitions, and this has to be driven by strategy. It’s the baseline capability that the Armed Forces really needs to improve on,” AFP chief of staff General Eduardo Oban said in an interview in Calamba City during the unveiling of the tallest monument to Jose Rizal to mark the national hero’s 150th birthday. Since 2005, Congress has allotted an annual budget of only P5 billion for the military’s modernization program. In a separate interview, AFP Modernization Program Management Office head Brigadier General Roy Deveraturda said the upgrading the military should not be viewed as preparation for possible conflict with any country over the disputed Spratly Islands in the West Philippine Sea. “We just want to provide sovereign presence in our territories,” Deveraturda said. “In any conflict scenario, equipment is just one factor. But we have to be clear about this upgrade. This is not being done in preparation for any conflict. It is not like we are not going for an all out war,” he explained. Among the priority acquisitions for the AFP are patrol helicopters with sensors, search and rescue helicopters, transport aircraft, and strategic sealift vessels, Deveraturda said. “We are also planning to acquire a brand new Hamilton class cutter for our Coast Guard,” Deveraturda said. Oban said the American-made Hamilton cutter, scheduled for delivery sometime in the third quarter of the year, will be initially deployed to Palawan, some 80 nautical miles from Recto Bank where recent Chinese incursions occurred. Oban said the AFP will also expand its “coast watch system” within 200 nautical miles of the country’s exclusive economic zone in Palawan. The military currently has coast watch stations and radars in Mindanao. Herzliya, Israel - Simlat Ltd. announces the delivery of a customized Heron UAS payload operator training system to the Australian Air Force. The simulator is designed to provide focused training for the payload operator, and supports diverse training goals, from basic operation to mission rehearsal and intensive currency training. Simlat's customized system immerses the customer in a realistic replica of the operational environment by providing high-end simulation of payload, sensors, platform, and operational station, and by adjusting mission scenario contents by the RAAF. The training system is also equipped with a STANAG 4609 metadata output, allowing the RAAF to easily stream this data into any standard-supporting device, such as Imagery Analysis systems. "Apart from providing a synthetic training capability for our student EO/IR Payload Operators, we have been able to use the video output from the trainer as the input for our replica Intelligence processing, exploitation and dissemination centre, thus enabling real time interaction between the Payload Operator, Intelligence Officer and Geospatial Imagery Analysts on various scenarios. ", says David Riddel, Program NANKEEN IPT Lead. "We currently have the Simlat Payload Operator trainer supplying real time synthetic FMV to our SOCET, MAAS, KESTREL and FalconView environment, giving us a fantastic interactive training capability without the cost of putting a real aircraft in the air. MANILA, Philippines - The Philippine Navy is mulling the possible upgrade of its naval station in Hulugan Bay in Palawan. Speaking on ANC's "The Rundown," Commodore Edgardo Tamayo, chief of the Naval Forces West based in Palawan said, given its strategic and practical location, the area could be made the new base for the Navy's operations. Navy officials recently visited Hulugan Bay to assess operations on the Western front. "Hulugan is on the Western front, facing the Kalayaan Island groups or Spratlys. From the Reed Bank, that's only 450 nautical miles, 200 from Pag-asa. It's within our economic zone. You can save a lot if Hulugan will be a staging point or area of operation," Tamayo said. "That could serve as headquarters for the naval forces because of the strategic value of it. That would be good for the Navy and Palawan. On the Western front, there is a strong need for naval presence," he added. The plan comes amid growing tension over the disputed Spratly Islands in the West Philippine Sea. Meantime, Tamayo believes that there should be stiffer penalties for those caught poaching in Philippine waters, as penalties under the current Fisheries Code are not enough. "There is an urgent need to amend Republic Act 8550, the Fisheries Code of 1998 to make poaching and violation of Section 87 of Republic Act (R.A.) 9147, The Wildlife Resources and Protection Act of 2001, a non-bailable offense, and to increase the fines for these violations. The penalty under the provision Section 97 of R.A. 8550 (taking or gathering of endangered species) is $100,000 to make it $500,000 to make it a deterrent." On Thursday, Tamayo said they received an order from the provincial prosecutor to commit to jail the 122 Vietnamese who were earlier apprehended for poaching in the waters off Palawan. A medical check-up was scheduled on Friday as part of standard operating procedure. The Vietnamese poachers were placed in the custody of the Navy immediately after apprehension. They are awaiting inquest proceedings. The fiscal's office is expected to rule Friday if there is probable cause to file a case against them. "The 122 of them will have to face the fiscal. While waiting, we have no facility wherein these alleged poachers can be placed. They were placed in our custody on both ships." In March this year, the Navy Forces West, together with the Bureau of Fisheries and Aquatic Resources, Philippine National Police Maritime, and the local government of Balaoac, apprehended 6 alleged Chinese poachers. The 6 were committed to jail after the filing of charges. The Navy admitted it is making do with limited resources for their maritime operations. These include 10 floating assets, counting in 3 which, Tamayo said, are committed to Task Force Malampaya in El Nido, Palawan.